Vestas V112 3.0 MW wind turbine. The Macarthur wind farm is located in the Western District of Victoria, Australia, between the towns of Macarthur, Hawkesdale and Penshurst. 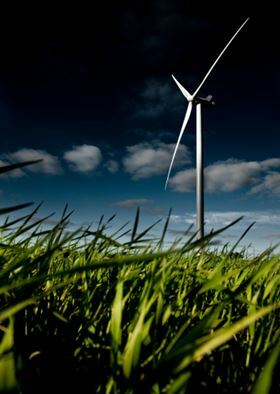 Vestas and Leighton Contractors will install the Macarthur wind farm. The contract comprises a full engineering, procurement and construction contract (EPC), a 10-year service agreement and a VestasOnline® Business SCADA solution. The first wind turbines are expected on site during Q3 2011 with the whole project expected fully installed by the first half of 2013. The Macarthur wind farm could benefit from the Australian Parliament's 20% Renewable Energy Target (RET), passed in late June this year. Hexcel has expanded its existing supply agreement with Vestas Wind Systems A/S to provide composite materials for wind blades.